Eve Mont made a splash in the literary world with her debut novel, Free to A Good Home. Now she’s back with A Breath of Eyre (out March 27), the first book in a three-part YA series. 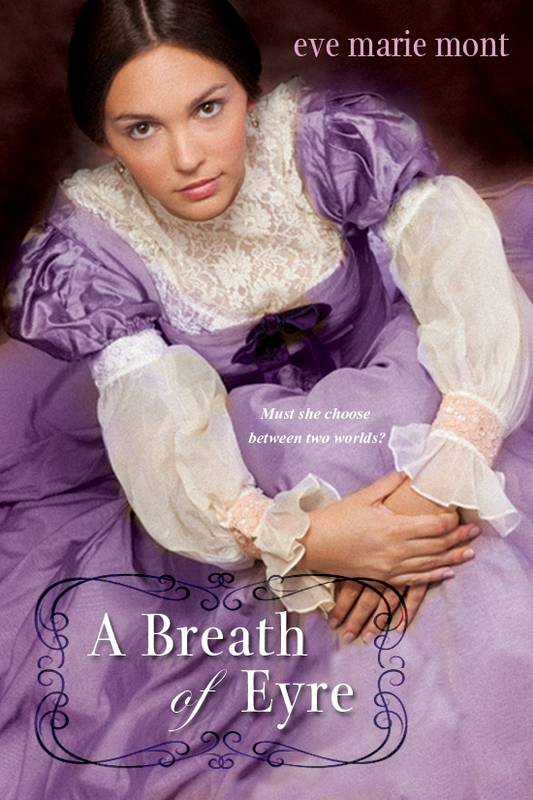 A novel about a teen transported to the world of Jane Eyre, A Breath of Eyre is a refreshing, richly satisfying read. A Breath of Eyre transports Eve Mont’s modern-day heroine, Emma Townsend, into the life of Jane Eyre to create a mesmerizing story of love, longing and finding one’s place in the world. Its sequels will continue the literary adventures of Emma Townsend as she travels into Nathaniel Hawthorne’s The Scarlet Letter and Gaston Leroux’s The Phantom of the Opera. Emma Townsend has always believed in stories — the ones she reads voraciously, and the ones she creates in her head. Perhaps it’s because she feels like an outsider at her exclusive prep school, or because her stepmother doesn’t come close to filling the void left by her mother’s death. And her only romantic prospect (apart from a crush on her English teacher) is Gray Newman — a long-time friend who just adds to Emma’s confusion. But escape soon arrives in an old leather-bound copy of Jane Eyre. Eve Mont has done it again — with an engrossing, exciting and fresh plot, you’ll love following Emma Townsend on her journey.